“Events are stacking up . . . “ and I highly recommend listening to this show, as I cannot adequately take notes (nor transcribers transcribe) of the frequencies of real passion . . . combined very significant information imparted by both Caleb and Kiri. Also the comments made by the hosts are very important to hear. Starting with Kiri’s case in New Zealand . 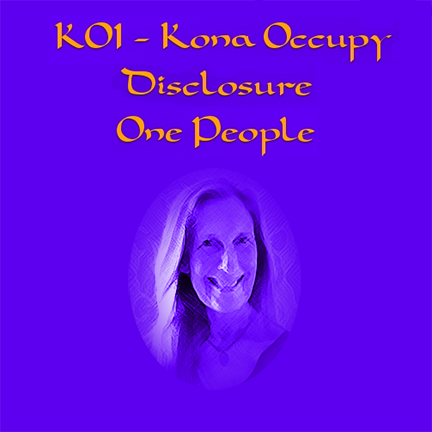 . . Kiri has a very good chance of winning her case that has turned into exposing the corporation police, banks and court systems . . . that could end up happily re-purposing them all. This is because Kiri clearly understands who she really is, and despite her being harassed, physically abused with bruises on her wrists and stripped searched naked . . . she is calmly and firmly standing her ground at all times. And Chris noted how this case being so exposed by us will quickly become a serious marketing problem for that NZ bank now . . . so please help keep this case going viral globally . . . and Brian Kelly blog will post the latest updates from Kiri, with copies of all her work (most recent links below). Caleb comes on show (about 41 mins) and shares all that has been happening . . . with Project XIII and where things are now . . . Please take the notes, that you will need for getting started! Kiri comes on show (about 1hr 17mins) . . . and is absolutely stunning! . . . she has clearly breached the peace of the corporation down Kiwi way! Do not miss listening this breaking unfolding story! She is deeply committed to using this case to repurpose the whole system into something that actually works for all the people of the planet! She highly recommends this resource by Lady Mary Croft and her free ebook called “HOW I CLOBBERED EVERY BUREAUCRATIC CASH-CONFISCATORY AGENCY KNOWN TO MAN“ But she strongly suggests one never attempts what she has, unless . . . they really know who they are . . . and are ready to stand their ground calmly and peacefully. Kiri deeply thanks all those supporting her! Hosts outline what is going on with Graham in Australia now (about 1hr 23mins), and asks for everyone’s support, as he is now being held in a Grafton jail . . . and to start asking the questions . . . Why is he being held? Is he a political prisoner? Phone: 61(02) 6642 0340 . . . letting them know we are watching this now. We are presenting an opportunity for the old corporate police, banks and court systems to repurpose themselves . . . they do have a choice. For tomorrow’s show – The Collective Imagination (2pm HST/5pm PST) – among the many topics will be . . . how can we peacefully non-comply?